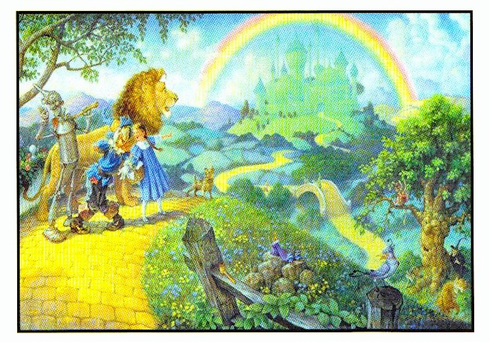 Follow dorothy and her friends down the yellow brick road to Emerald City! Recreate this magical scene in just 63 pieces! Do you have the heart to help Dorothy find her way home? This puzzle measures 11"X15". This puzzle is Eco-Friendly and printed with Soy-Based Inks on Recycled Board. Proudly made in the USA.